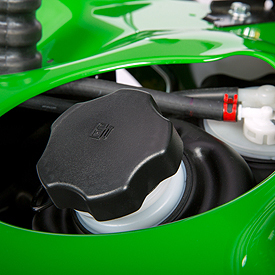 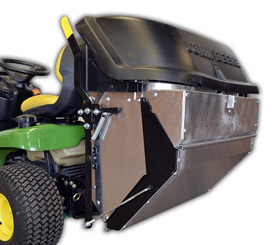 The smooth underside of mower prevents grass buildup and evenly disperses grass clippings. 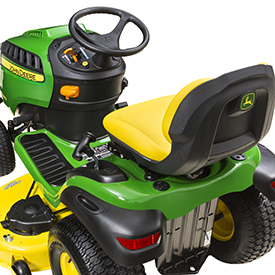 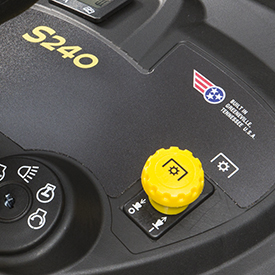 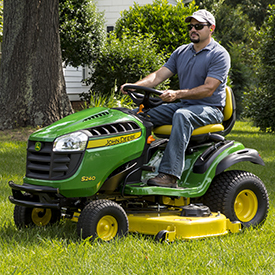 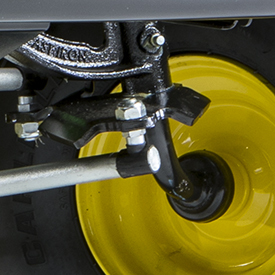 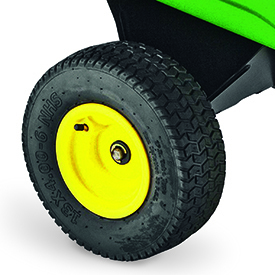 Two adjustable mower wheels are standard equipment for a smooth mowing job, even in rolling terrain. 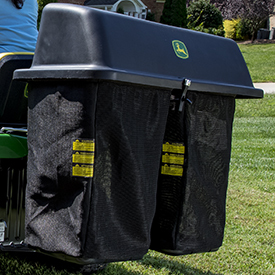 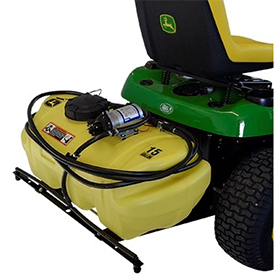 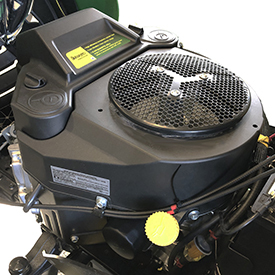 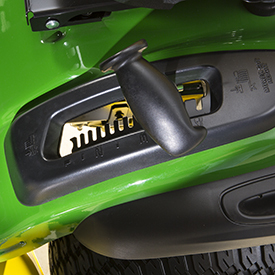 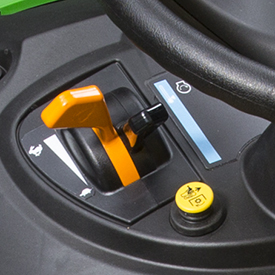 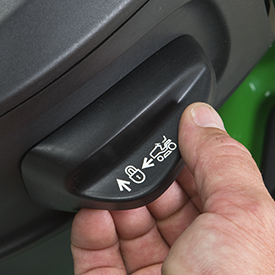 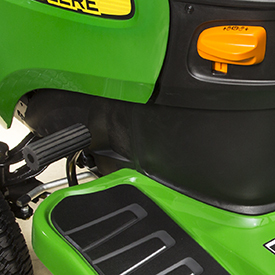 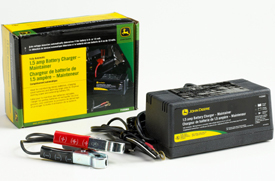 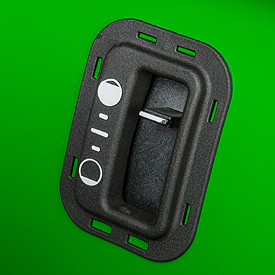 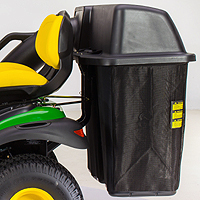 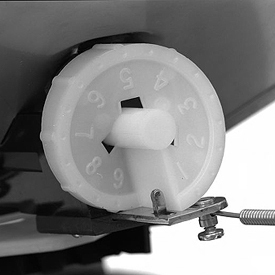 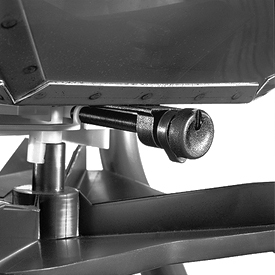 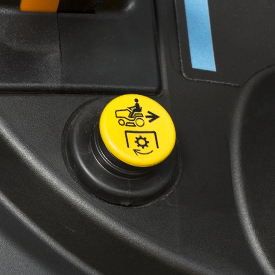 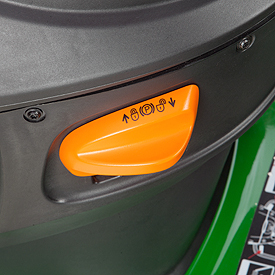 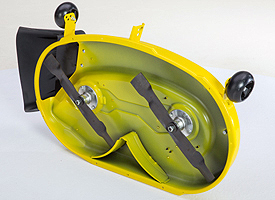 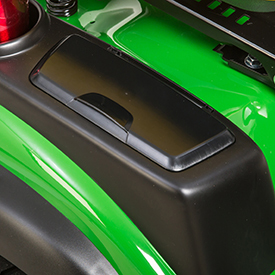 The flexible discharge chute minimizes property and mower deck damage. 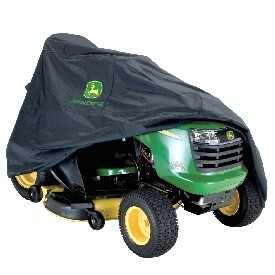 A mulch cover is an optional attachment. 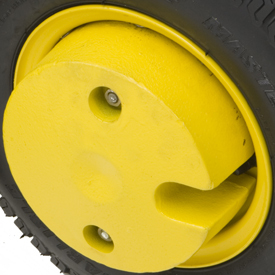 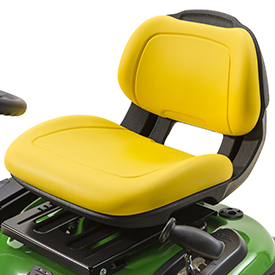 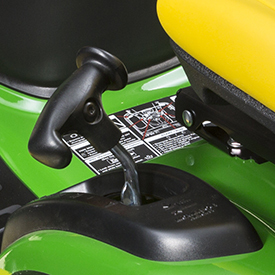 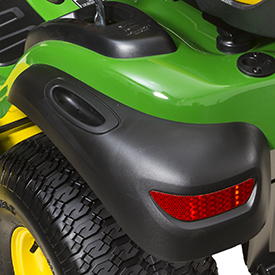 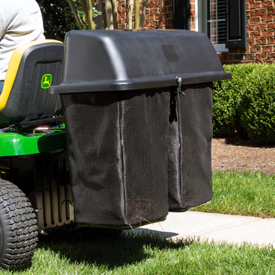 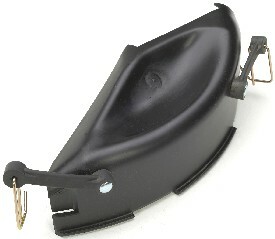 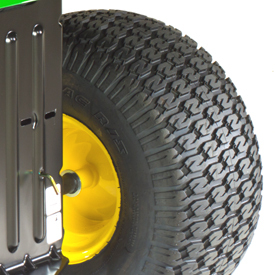 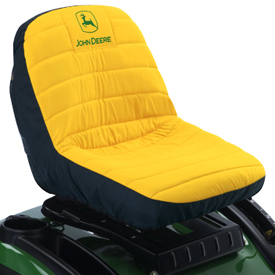 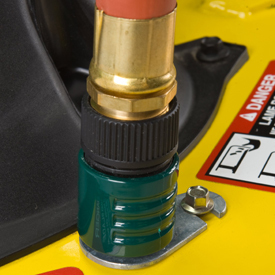 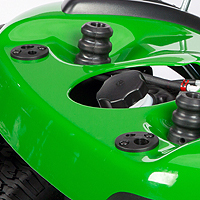 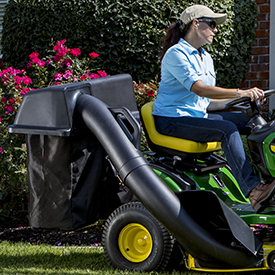 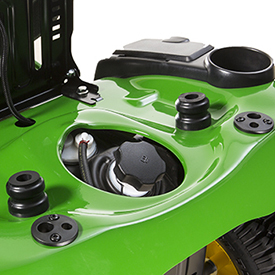 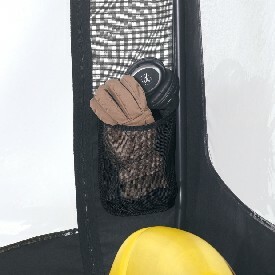 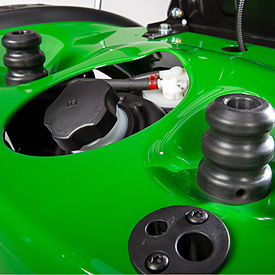 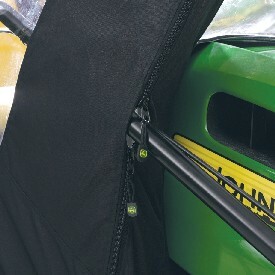 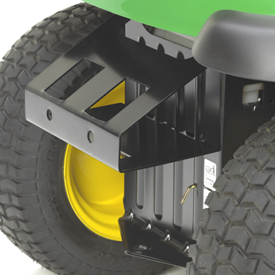 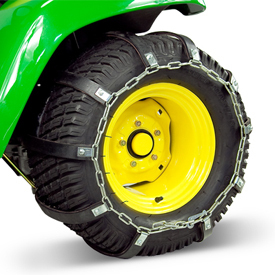 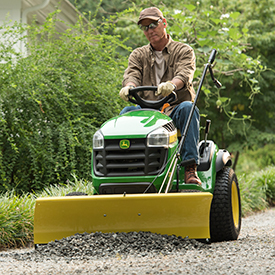 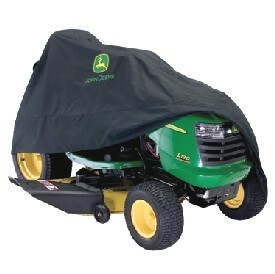 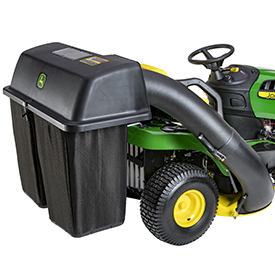 The mower deck has a rolled lip to provide greater strength and protection. 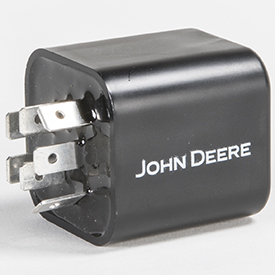 The rugged 13 gauge, 0.09-in. 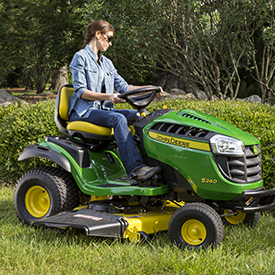 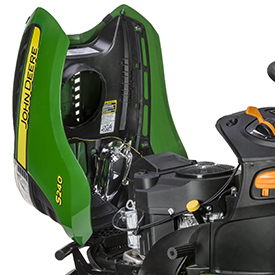 (2.3-mm) steel-deck mower will provide years of dependable mowing. 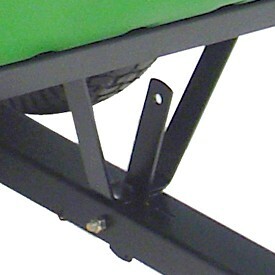 A section of material below the discharge opening ties the front and rear of the deck together. 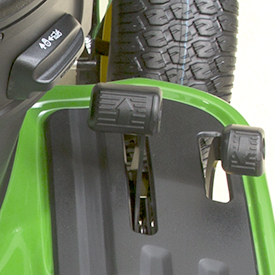 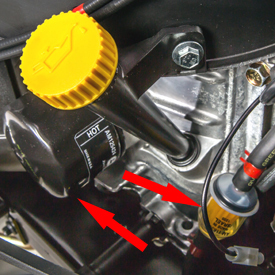 When using the rear bagger, material flows upward through the deck to provide highly effective bagging and a reduced chance of plugging. 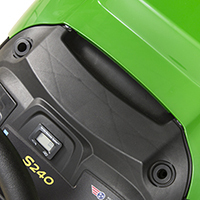 For this reason, no Power Flow™ collection system is available for the 42-in. 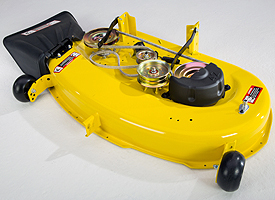 (107-cm) mower. 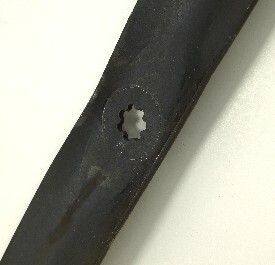 Increments of 1/4 in. 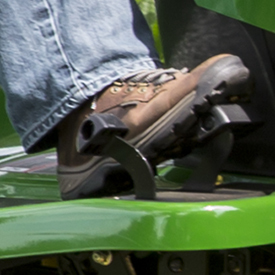 (6.4 mm) allow the operator to fine-tune the cut height. 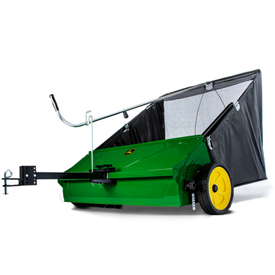 The mulch cover is available as an option for mulching grass or leaves. 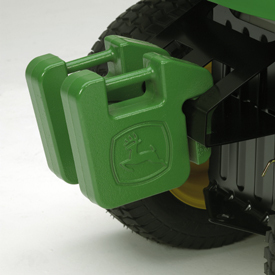 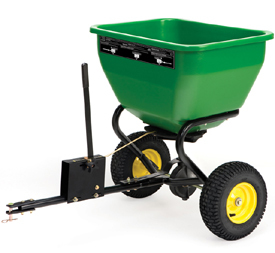 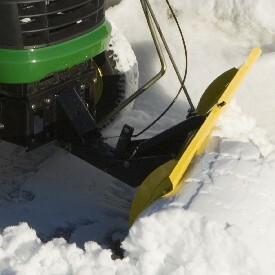 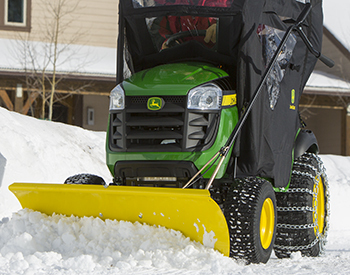 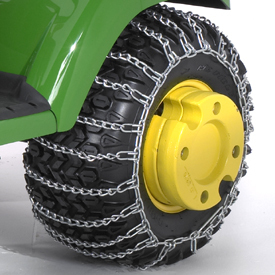 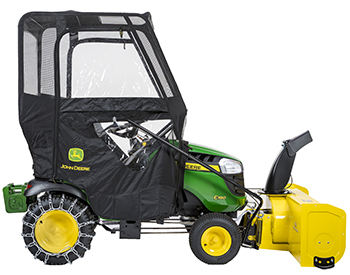 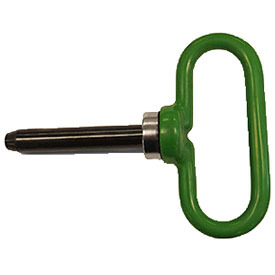 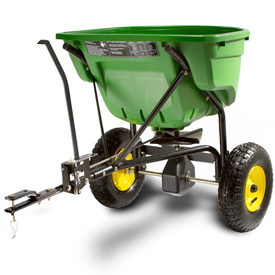 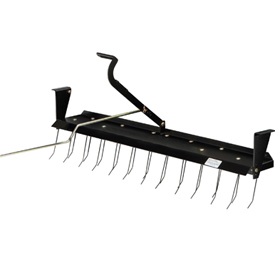 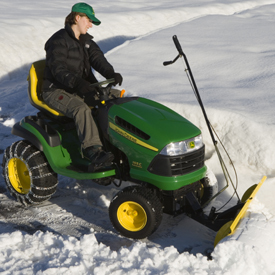 It is more convenient, but it provides a lower performance level than the mulching attachment. 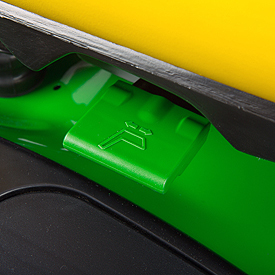 An efficient lower chute provides smooth flow of material to reduce chance of plugging. 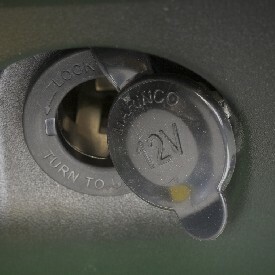 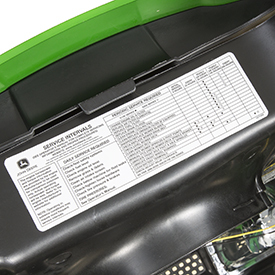 A complete mower deck can be ordered for replacement, if required. 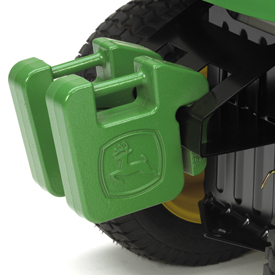 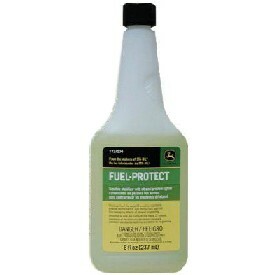 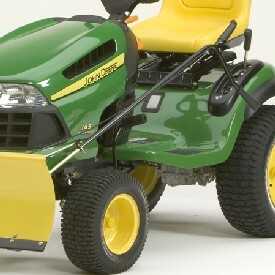 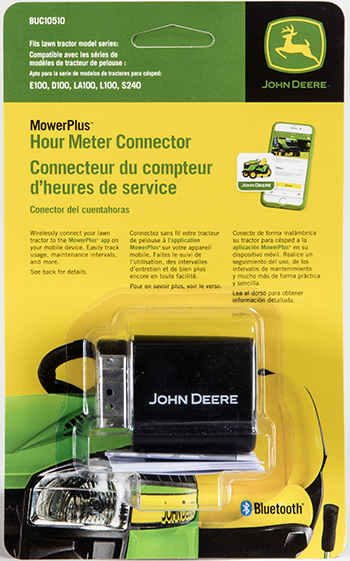 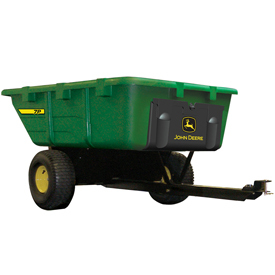 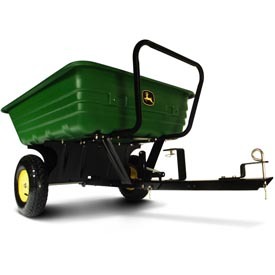 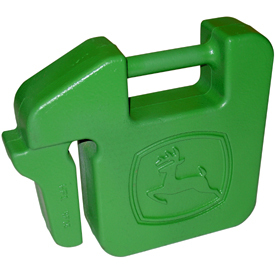 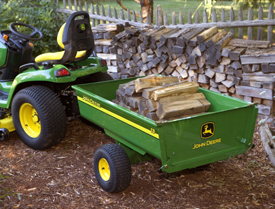 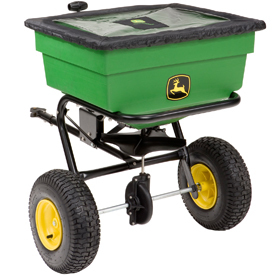 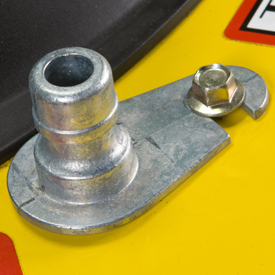 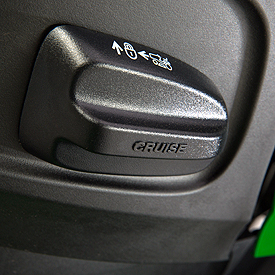 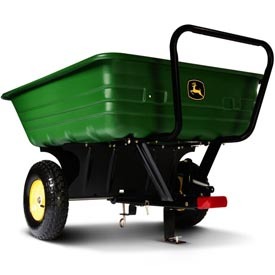 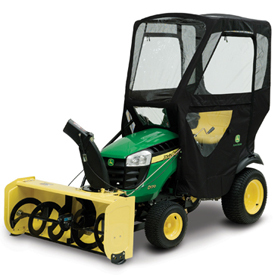 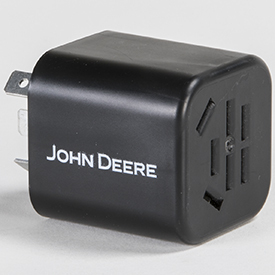 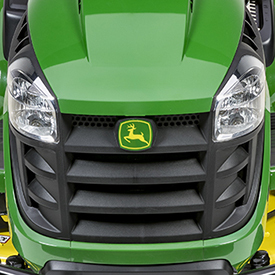 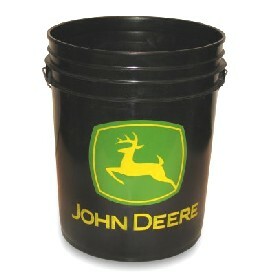 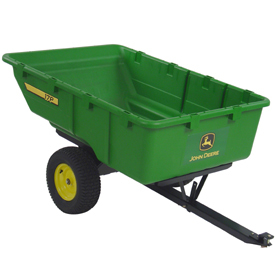 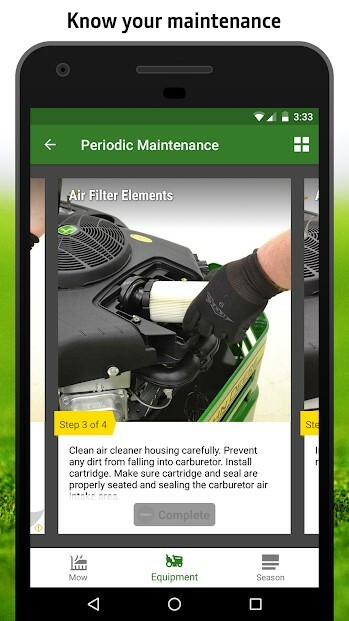 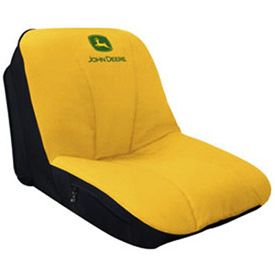 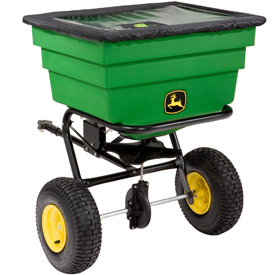 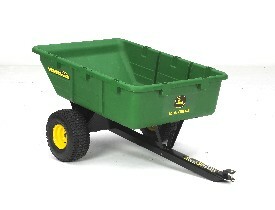 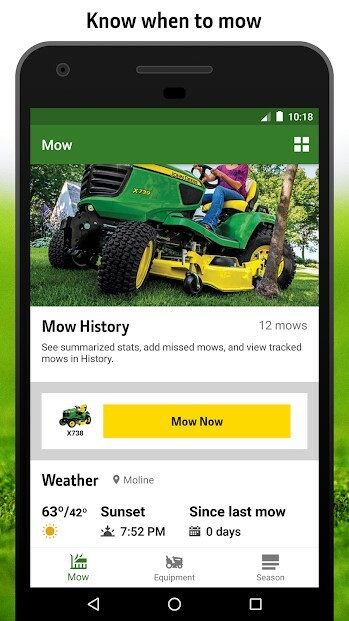 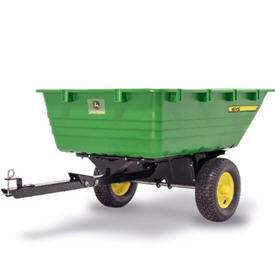 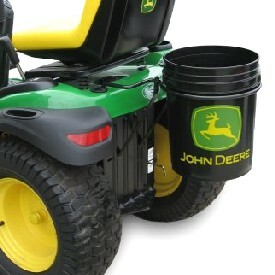 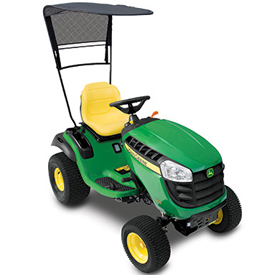 Incomplete decks are also available through the John Deere Parts system. 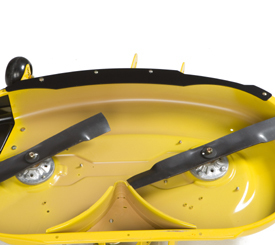 These decks include the shell, discharge chute, and decals. 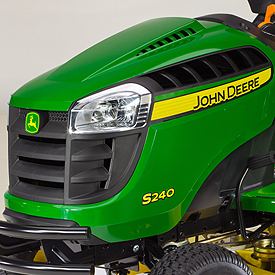 The 42-in. 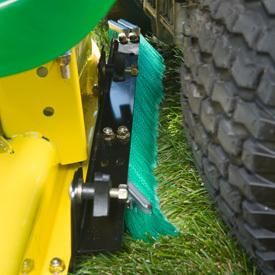 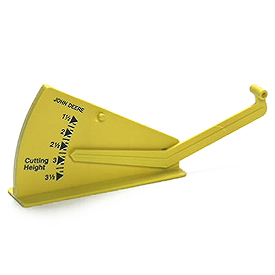 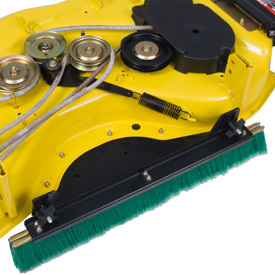 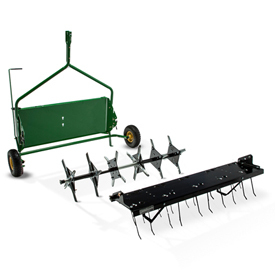 (107-cm) mower deck comes with two medium-lift blades for normal cutting and bagging conditions. 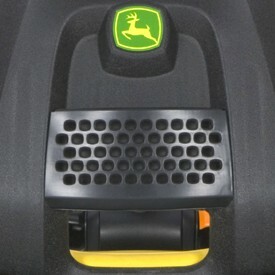 Incomplete decks are also available through the John Deere Parts system. 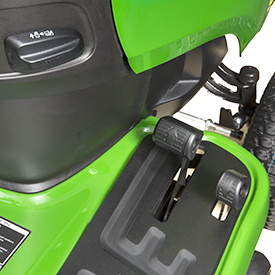 These decks include the shell, discharge chute, and decals.